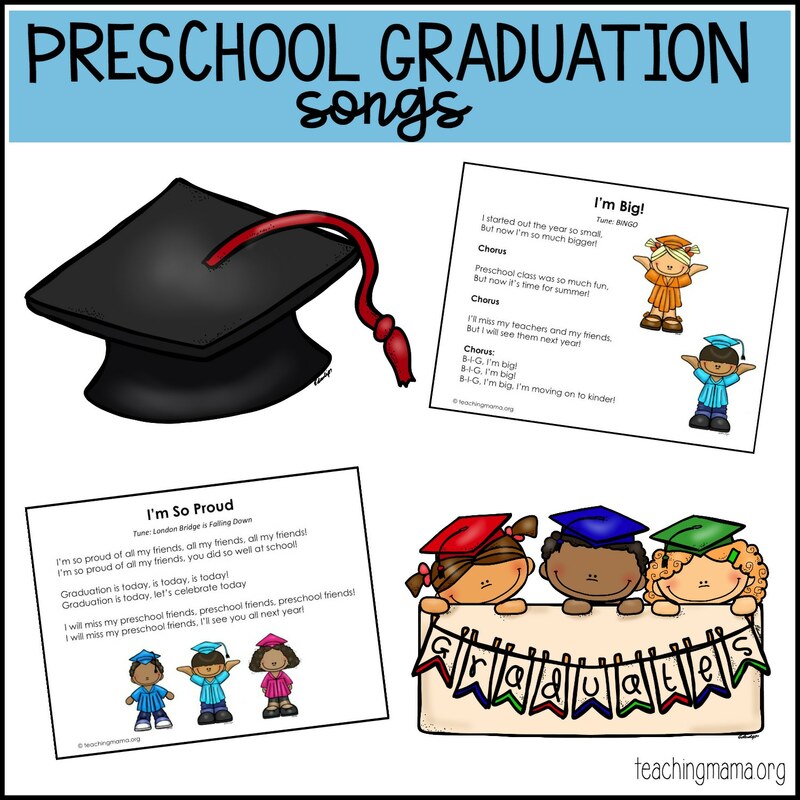 Are you looking for preschool graduation songs? You’re in the right place! 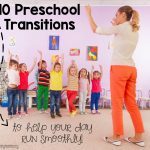 It’s the end of the school year, which means preschool graduation is upon us. If you are a teacher or homeschool parent looking for some sweet songs to sing with your students, then I have something that you will love. I came up with five songs that are sung to familiar tunes and I created a free printable for you. 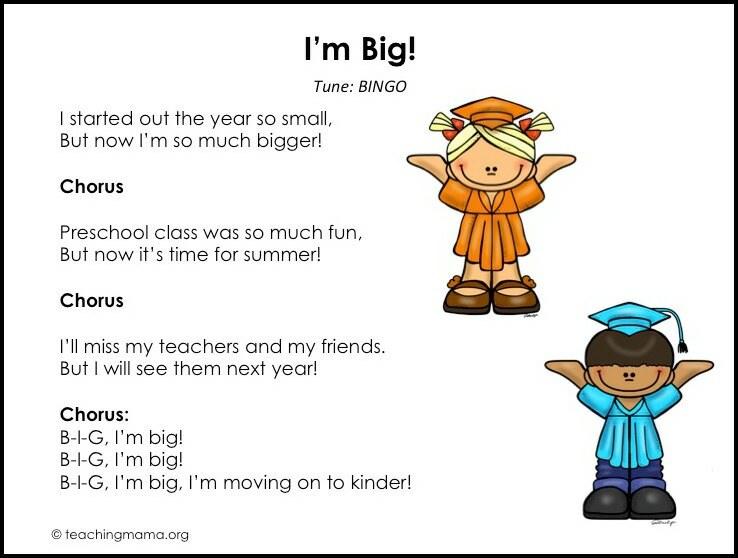 You can print the songs out and sing them together with your class! Children love music, so singing at a preschool graduation program is a great idea. 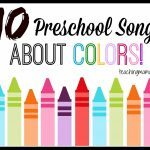 The tunes and lyrics are simple and I think your preschoolers will catch on quickly! 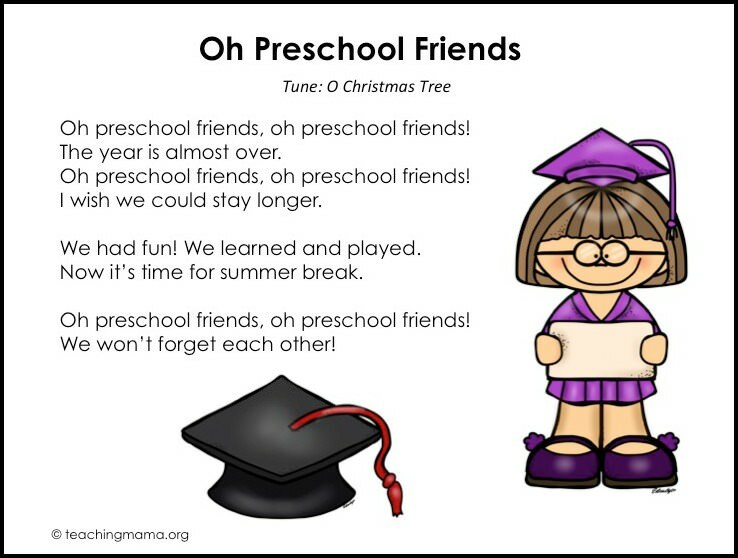 Oh Preschool Friends is sung to the familiar tune of O Christmas Tree. I’m So Proud is sung to London Bridge is Falling Down. This one would be cute to add in actions! 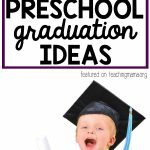 Want more preschool graduation songs?! 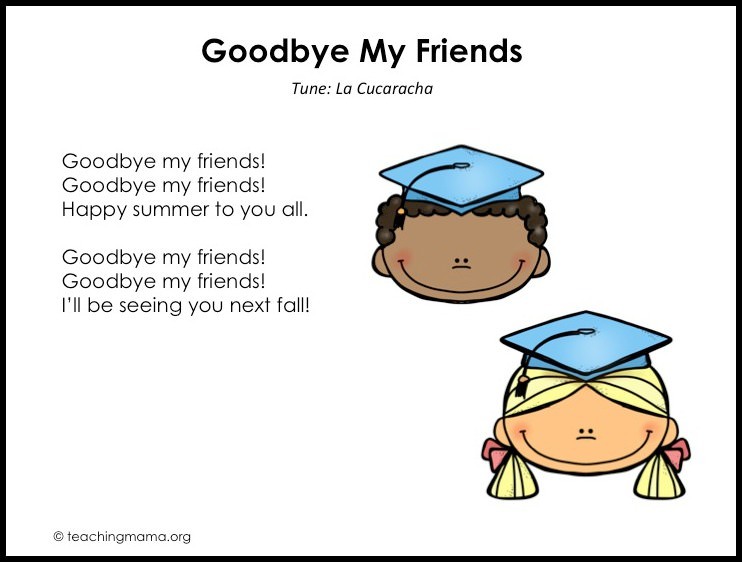 Here are some of my favorite websites with preschool graduation songs. 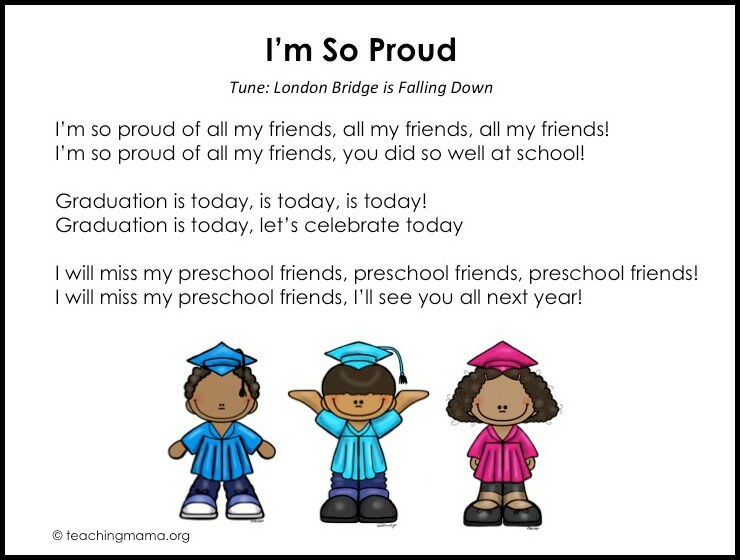 Preschool Inspirations has a great post on preschool and kindergarten graduation songs. She even includes videos! If you want to sing along or just watch a video, this is a good resource. Fun in First has a sweet end of the year song. 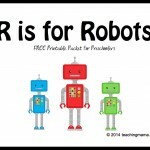 This would be good for older kids, too! 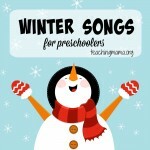 Preschool Plan-It also has a whole bunch of ideas, including more songs sung to familiar tunes! 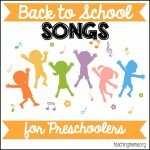 Fun-A-Day has a great selection of slideshow songs! Lastly, here’s a video that I just love! 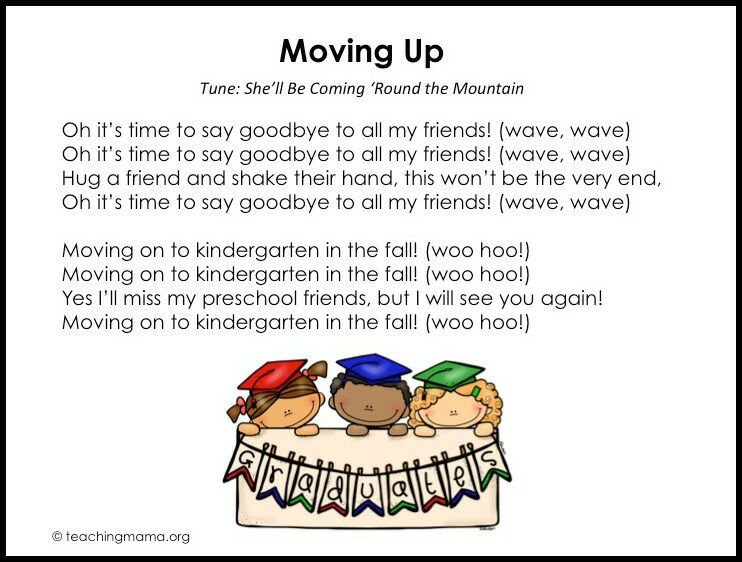 Hope these preschool graduation songs are helpful to you!